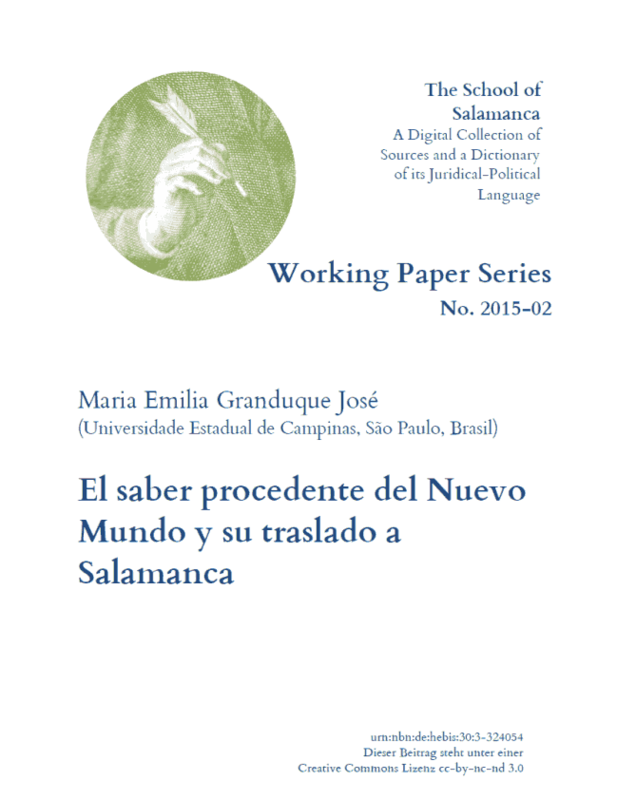 María Emilia Granduque José: El saber procedente del Nuevo Mundo y su traslado a Salamanca, SvSal WP No. 2015-02. The purpose of this article is to discuss, for the first time, how the teachers linked with the University of Salamanca and its corresponding School of Salamanca contributed to the validation of a knowledge related to discoveries that led to thinking about the new geographical configuration of the world. We will also show how the University of the Salamanca, along with other institutions of knowledge, operated as a center of ‘scientific’ activity that was at the service of projects of the Spanish monarchy.